We are guided by the concept of approved content. Someone else will tell us what to like because it’s easier that way. It’s exactly why the same artists continue to get the grants and the museum shows and magazine articles and albums of the week. Once the approved content exists, it’s so much more difficult for other artists to gain traction. For the first time this year I’m playing a record at home. It is, of course, the new Sleater Kinney record. It’s the only physical recording I’ve bought this year. 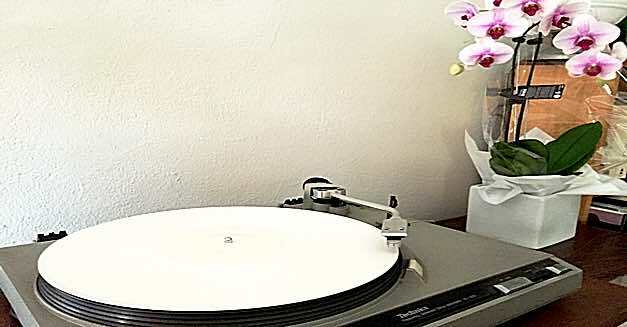 It was released in beautiful packaging in 180 gram white vinyl. It’s beautiful and I’m very happy to own it. I’ve been anticipating the record for the past few months and it hasn’t disappointed. But let’s look at why I like Sleater Kinney. I used to be very involved in the Melbourne radio station 3RRR. Even though I don’t really listen to radio much anymore, I’m sure it still holds its title as one of the greatest radio stations in the world. One of the things that makes 3RRR so wonderful is that they don’t have a playlist. Presenters get to choose their own music. Record companies send countless new music to the presenters who listen to as much as they can throughout the week, preparing a playlist for the coming episodes. Being community radio, new local bands can also send their own recordings to presenters in the hope that they might get played on the radio. There is no one in the middle of that relationship. Record labels have A&R people who look for new talent. The musicians who finally get signed to a record label have to pass through an array of self-appointed taste-makers. These are the approvers of content for most of the world and their motivation is money. They are in business. Whatever they say their motivation is, and emotionally it might be something other than money, their key performance indicator is money. Will the band they sign make money for their label? There is no charity here. In Melbourne we are fortunate enought to have more independent approvers of content. The presenters on community radio stations are volunteers. They do not get paid for their time on air. The only motivation they have for promoting a new artist is if it fits within their program and which song would be better to play for the audience at any particular time. What song would best benefit from the lead-in of the previous song? What sort of mood do I want to put the audience in? What sort of mood am I in? Have people heard this song too much or will they be interested in hearing it? Of course there was a lot more than that. There was a lot of ego and showing off knowledge of new bands or obscure tracks. I loved playing a b-side. I really liked to mix up the unusual and the familiar. But ultimately that was it. In the studio we had a big rack that fit 135 CDs. Every week new CDs would be added and some would be removed. We had a printed booklet that described the music in the rack. This was also updated every week. While a track was playing, I’d queue up the next song and then peruse the new music in the booklet. I’d find a description that took my fancy and, during the next track, listen to the opening bars of a few of the songs for something that might fit well with the track playing now, and then play a song I had never heard before. That a DJ can play a song on the radio they have never even heard before is probably the lowest barrier to discovering new music for oneself there was at the time. Anyway, Karen Leng was one of the great DJs at the station. On Friday mornings she had a show called Station-to-Station: three hours of new American music. It was almost like it was targetted directly at me. It heavily influenced my music collection and I was honoured when I eventually was invited to fill-in for Karen some weeks when she was away. In March or April of 1996, Karen introduced a song with the sentence "Sleater Kinney want to be your Joey Ramone." Then I heard a back and forth of female vocals, a guitar sound unlike any other I’d experienced, and I was hooked. Four years later All Hands on the Bad One was in almost constant rotation in my headphones: the perfect mix of emotion and joy for the year after a big breakup. The thing is, Sleater Kinney was already approved content because Karen played them. Their existence in my life and their appearance as a track on Station-to-Station made me take notice. I don’t know if the same would have happened if a friend had told me to check out the song or if another DJ had played it on their show. There is a huge bias to overcome when listening to new music because we so often define ourselves by the music we like. When we’re kids and teenagers it’s how we know if we will investigate a new friendship with a stranger. It’s all we had before the boring party question of "What do you do?" So many of us, before we will admit to liking a record or artist – before we will give an opinion of any kind – we dip our toes in the water of popular opinion. We ask ourselves: "Where will this opinion place me in society?" We might not even be conscious of it. The biggest barrier we have to discovering new things is ourselves. We want to belong and so we look to others to approve our content. When the people at Lyndal’s work turn up "Run to Paradise", they’re looking to connect with others over the memory of a particular song and how it makes them feel. They are socialising via nostalgia and avoiding social stigma by conforming. The radio has told them this song is OK to like, they actually do like it, and they can connect via it. There are many barriers to being able to discover new music but probably the most overwhelming is loneliness. If we really want to discover something new, we might do best to remember that scene in Lawrence of Arabia where Lawrence says that the trick to putting out a match with one’s fingers is "not minding that it hurts".